There are two levels of coverage offered through the Protection Plan: Silver and Platinum. Silver provides basic component coverage, while Platinum covers most mechanical and electrical components on your Buick, GMC, but not all parts are covered. Ask us for more details on both plans. The Protection Plan includes a number of term and mileage options you can choose from. WHERE SHOULD I GET MY BUICK, GMC REPAIRED? HOW DOES THE BUICK, GMC PROTECTION PLAN COMPARE TO THE GM CERTIFIED PRE-OWNED VEHICLE COVERAGE? Every Certified Pre-Owned vehicle from Buick, GMC comes with a transferable 5-Year/100,000-Mile Powertrain Limited Warranty, plus Roadside Assistance and Courtesy Transportation. The Buick, GMC Protection Plan can begin when the GM Certified Pre-Owned coverage expires (subject to a 30-day and 1,000-mile waiting period), for whatever time and mileage option you choose to purchase. For more information, see the Protection Plan Vehicle Service Contract. It provides your Protection Plan coverage if you intend to use your Buick, GMC vehicle for work-related purposes such as jobsite activities, delivery of goods, service or repair work, farming, ranching, route work, or snow removal. The Commercial-Use Surcharge is paid at the time of contract purchase. DOES THE PROTECTION PLAN EXCLUDE ANY USES OF BUICK, GMC VEHICLES? WHAT ARE THE TIME AND MILEAGE OPTIONS FOR NEW BUICK, GMC VEHICLES UNDER THE PROTECTION PLAN? WHAT ARE THE TIME AND MILEAGE OPTIONS FOR USED BUICK, GMC VEHICLES UNDER THE PROTECTION PLAN? FOR USED BUICK, GMC, WHEN DOES THE PROTECTION PLAN CONTRACT OR TERM OF THE CONTRACT START AND END? ARE THERE DIFFERENT TIME AND MILEAGE OPTIONS FOR NEW AND USED VEHICLES COVERED UNDER BUICK, GMC PLATINUM WRAP COVERAGE? CAN I PURCHASE PLATINUM WRAP COVERAGE AT ANY TIME WHILE I OWN MY BUICK, GMC? The Platinum coverage includes most components on your Buick, GMC, including all components covered by the Silver Plan. Components that are not covered are those listed in the Exclusions section of the Vehicle Service Contract. WHAT ARE THE TIME AND MILEAGE OPTIONS FOR NEW BUICK, GMC VEHICLES UNDER THE PRE-PAID MAINTENANCE PLANS? 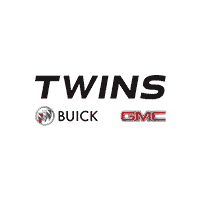 WHAT ARE THE TIME AND MILEAGE OPTIONS FOR USED BUICK, GMC VEHICLES OR DISCONTINUED GM VEHICLES, OR NON-GM VEHICLES PURCHASED AT A GM DEALERSHIP, UNDER THE PRE-PAID MAINTENANCE PLANS?